That phone in your pocket is essentially a miniature computer, and can do more than just make phone calls and post to your Facebook account. 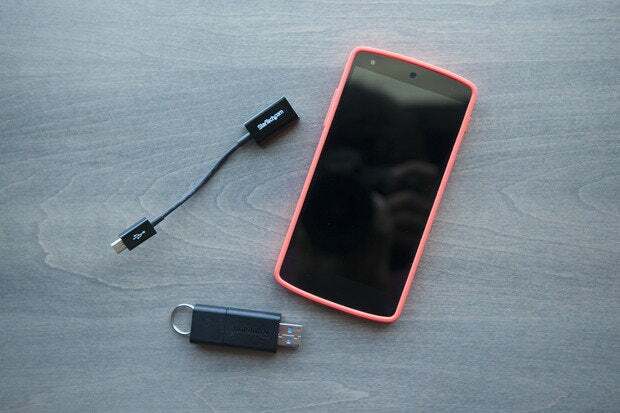 Most (if not all) Android devices use a USB connection for changing and transferring files, and thus conveniently work with flash drives, too. So if you've got pictures and files to transfer—or video files to watch on a long plane ride overseas—you don't have to limit yourself to a laptop or desktop computer, or wait for them to transfer over to your device. We'll walk you through how to set this all up, but there is one caveat: You'll need to have a rooted device. There are plenty of how-tos and walkthroughs that can help you figure out how to root a phone or tablet, and it's a fairly simple process, for the most part. The best place to start is at the XDA Developers Forums. You'll need a physical USB OTG (On-the-Go) cable with a male microUSB connector-to-female full size USB port. You can easily find one on Amazon or Monoprice. Don't go for any substitutions, either: I tried using an old USB OTG with a male miniUSB connector and attached an adapter to it, but that didn't work. 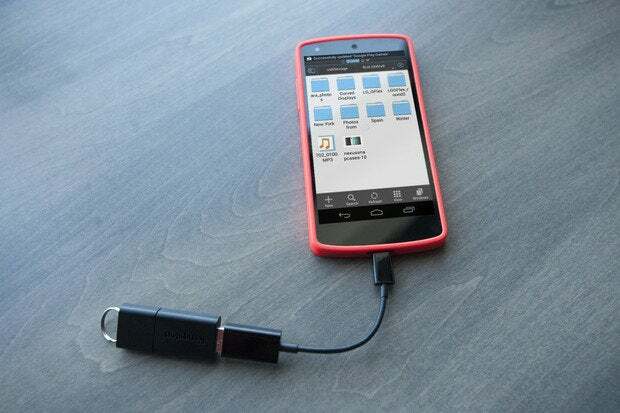 You'll also need to download two apps: one that actually mounts the flash drive, and a file explorer. 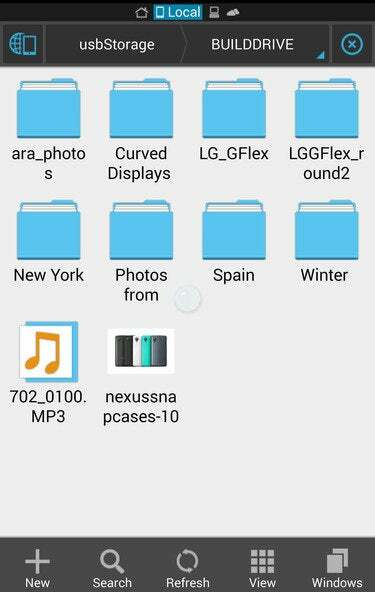 For this tip, we're using ES File Explorer and StickMount. Connect the OTG cable to your phone, then attach the USB Flash Drive. Launch StickMount and then tap OK to mount the drive. 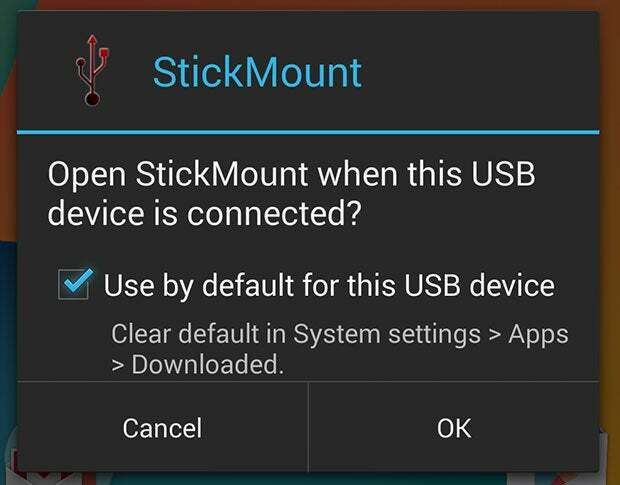 You can also choose to have StickMount launch automatically every time a flash drive is connected. Fire up the file explorer app—ES File Explorer, in this case. Head to sdcard/usbStorage and look for the name of your flash drive. Tap it, and you should be able to see the files contained on the memory stick. Now you can use flash drives to load things like movies, vacation photos, and music playlists without actually transferring them over to your device's internal storage. 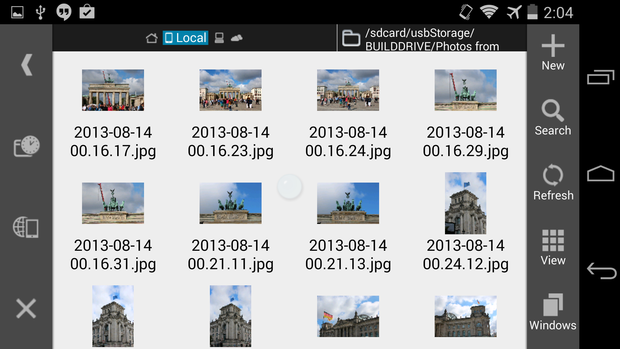 You can also move over a batch of files from the flash drive to your device using the file explorer app. If you find you're having issues getting the flash drive to show up in your file explorer application, try simply turning the phone on and off again after installing StickMount. You'll know that the phone recognizes the USB drive when you see its name pop up in the accompanying popup dialog window (shown above).